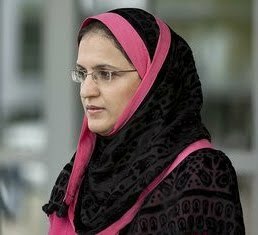 A Muslim woman, Irum Abbasi from San Diego is suing Southwest Airlines after being taken off a flight in March when crew members deemed her activities suspicious. She was wearing a hijab, the Islamic head scarf, was seated on a flight preparing to depart from San Diego's Lindbergh Field for San Jose. When a flight attendant became concerned about something she thought Abbasi had said on her cell phone. Abbasi later said that she told somebody on her cell phone, "I have to go," but that the attendant thought she had said, "It's a go." Irum Abbasi was escorted off the airplane by an employee of the Transportation Security Administration. A U.S. citizen, Irum has lived in the US for a decade after emigrating from Pakistan. She was taking a flight to San Jose, where she is a graduate student at San Jose State. The lawsuit, register on her behalf by the Council on American-Islamic Relations-California and noted San Diego civil liberties attorney James McElroy, accuse the airline with discrimination. Three days after the March 13 incident, the airline make an apology and noted that Irum Abbasi was seated on the next flight to San Jose and given a travel voucher. "We genuinely apologize for the customer's difficulty," the airline said in its public apology. McElroy and representatives of the board on American-Islamic Relations have scheduled a news conference outside the terminal at Lindbergh Field to talk about the case.